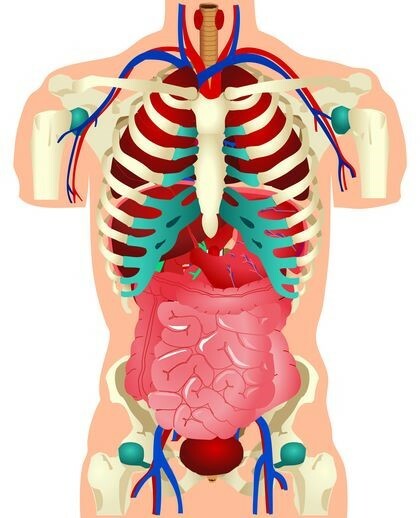 Sherry Brescia's Blog: Is this your most important organ? Is this your most important organ? We all have our own opinion of what your most important organ is…but arguably there’s one that truly outranks any other. It’s your microbiome—the population of bacteria that have made their residence inside of your intestinal tract. Yes, these microscopic little creatures that number in the trillions inside of you might be small, but the influence they have on your health is HUGE. Let’s take a closer look and see why that is so, as well as explore ways to help keep yours in tip-top shape. Most people are aware at this point that your gut microbiome helps with digestion. Those little guys help break down certain starches and fibers, thereby helping to reduce gas and bloating and encouraging more regular bowel movements. There are also a fair number of people who realize that 70 percent of your immune cells reside in your gut microbiome. So your ability to fight off colds and infections starts with your GUT. That’s the main reason why some people get sick when exposed to contagious illnesses and others in the same room at the same time do not—it’s a reflection of the health of your intestinal flora. In addition to fighting off colds and infections, your immune system also helps protect you against diseases like cancer. In addition, having a sharp, well-functioning immune system means you are less likely to suffer from allergies, food and environmental sensitivities, asthma, eczema and autoimmune conditions. Having a healthy balance of intestinal flora helps to enhance your absorption of nutrients from your foods and supplements. Plus these hard-working little guys also help produce vitamins for you as well! Your gut flora is directly involved in the production of vitamins A, B1, B2, B3, B5, B6, B12, D and K.
Certain beneficial bacterial strains have been shown to be helpful in fighting and preventing ulcers. Studies have established that the Lactobacillus strains L. acidophilus, L. salivarius and L. casei can slow and even help kill H. pylori (the bacteria that causes most ulcers). Beneficial bacteria can help reduce blood cholesterol by creating acids that counter cholesterol production. Plus they break down bile acids so your liver has to use up excess cholesterol to make more. And certain bacterial strains have been shown to even “eat” excess cholesterol! In addition, because your friendly flora help to keep your bowel movements regular, this can help your body to better eliminate worn-out cholesterol from the intestinal tract (instead of risking reabsorption into your bloodstream). Your intestinal flora ca make you lean toward the particular foods and nutrients it likes, instead of just accepting whatever comes its way. Each species of bacteria has their own dietary preference--some prefer fat, and others sugar, for example. Depending on which species has the “upper hand” at any particular time, the microbes can influence your food decisions by releasing signaling molecules into your gut. So the next time you get a craving for sweets, it just might be your gut calling out with its sweet tooth! Your gut is the starting point for inflammation throughout your body—it’s the “gatekeeper” for your inflammatory responses. Inflammatory messengers produced in your gut can sail up to your brain along the vagus nerve pathway. Then these messengers tell your brain cells to produce neurochemicals that control your energy level, your stress hormones and your cells’ functioning, among other things. Bacteria have also been identified as major players in the regulation of your mood and memory. Scientists have long studied what is called the brain-gut axis. The brain and the gut are connected and the health of one in turn affects the health of the other. Research has shown that problems in your gut can directly impact your mental health, eventually leading to issues like anxiety and depression. But the flip side can also be true—better, healthier bacteria can help encourage better mental health! By now you may be thinking, "Hmm, I wonder how my population of beneficial bacteria is." It's not entirely obvious when there's a problem--it's not like your gut gives you a nudge and says, "Hey, I’m in trouble here." Instead the signs are a little more subtle and you might not even realize they're related to your microbiome. Repeated infections, including UTIs, vaginal yeast infections, bronchitis, upper respiratory infections, sinus infections, etc. All of these are indicative of having dysbiosis--harmful bacteria have taken over and outnumbered the good guys. Restore your bacterial health with the "4 R's"
This involves replacing and rebuilding your supply of beneficial bacteria, and this is done with a probiotic supplement. As far as probiotics go, Super Shield multi-strain formula is your ticket for helping to restore a good flora balance. Two of the powerhouse strains in Super Shield probiotic formula, Lactobacillus rhamnosus and Lactobacillus acidophilus, have been shown to be extremely effective in fighting dangerous gut microbes. Plus Super Shield contains all three of the H. pylori-fighting Lactobacillus bacteria I mentioned above—namely L. acidophilus, L. salivarius and L. casei. And all of Super Shield's 13 potent strains help keep your flora in a healthy balance, ready and able to "keep the upper hand" over harmful bacteria. Reinforcing a healthy flora balance means nourishing your friendly flora and having smooth digestion to help avoid waste and harmful bacteria buildup. This involves eating foods that naturally feed your friendly flora like fresh vegetables and whole grains, plus keeping ALL of your meals easier to digest. The Great Taste No Pain system can guide you on how to construct easy tasty meals that are much easier for your body to break down and help encourage more regular BMs. Plus the recipe book gives you loads of ideas for preparing delicious foods that help nourish you and your friendly flora! And if you're gluten sensitive, no problem--Great Taste No Gluten is for you instead. The final step is to help repair any intestinal damage that you may have from harmful bacteria and medications. In addition to a healthy diet, Omega-3 essential fatty acids have been shown to help enhance intestinal health. Omega-3 EFAs are abundant in fatty fish, but since many people don’t eat a lot of fish, fish oil supplements like VitalMega-3 are a convenient way to get the Omega-3 EFAs you want. VitalMega-3 gives your intestinal tract a healthy daily dose of the EPA and DHA that are highly recommended by most experts. Remember, your gut microbiome is arguably your most important organ. If you don't have a healthy population of beneficial bacteria, it's only a matter of time before the rest of your health can start to crumble! Taking good care of your microbiome will help keep the rest of YOU feeling good for years to come!